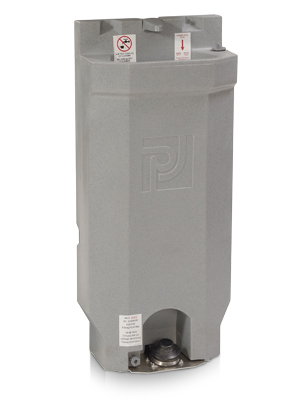 This self-contained hand wash sink is designed for installation in the SP-100 series portable restroom. It will also fit in many other similar types of portable restrooms. It is supplied fully assembled including all fasteners for installation and will fit on either sidewall. Total weight of empty sink is 16 lbs. and 150 lbs. when full. Holds 16 gallons of water.